I’m clinging tenaciously to summer’s hem right now, about to topple off into fall. I do have a quiet excitement growing about the upcoming season — crisp air, pumpkins, spice cakes, pies, stews and chilis — but I’m just not ready yet. I need a few more months of summer dresses, fruity cupcakes, and flip flops (although, let’s be honest, I will continue wearing those well into winter). Along with the end of summer, I’m facing the beginning of another school year teaching middle school English. Our teacher workdays start this coming week. Don’t get me wrong: my school is an absolute Utopia, and I’m excited to spend time with my students in our little classroom together. They’re experts at creating special moments: sometimes insightful, sweet, hilarious, and even absurd. I’ll listen them complain about (and sometimes start to care about) Shakespeare and Hemingway. We’ll laugh over Sei Shonagon’s scandalous Pillow Book. We’ll fold over a thousand paper cranes after reading Sadako’s story. I know it’ll be fun (I just have to convince them of that). But right now, though the first day of school is still a week away, I’m overwhelmed. Mike and I have been squabbling while trying to make my chaotic mess of a classroom into a decent learning space. I have to make a thousand copies. I have to create a seating chart. I have to plan the first week of school. It’s no wonder that this week, rather than any particular food, I craved simplicity. 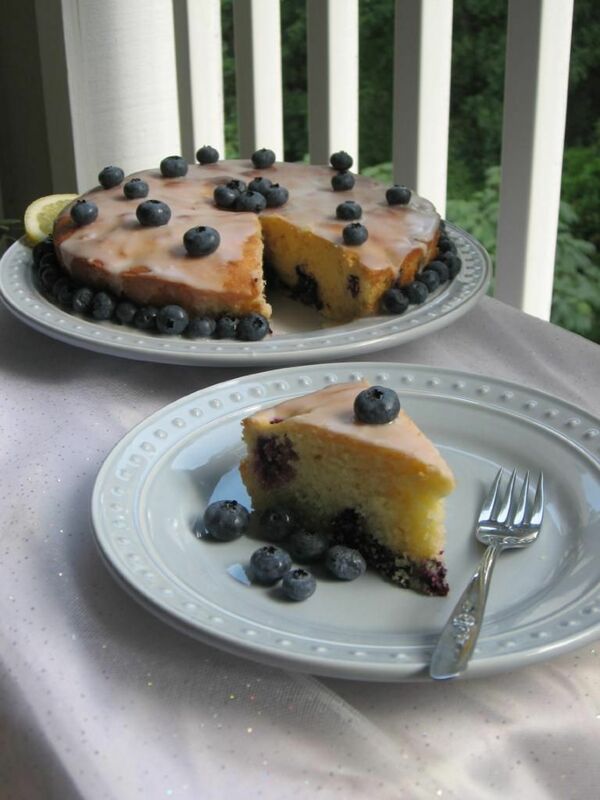 When I saw the recipe for this Lemon Blueberry Cake, I knew it fit the bill. It’s an ode to summer with plump blueberries and tart lemon, and a simple recipe at that: mix, bake, glaze, eat! The cake is buttery and moist, and the flavors are a great combination — I adore blueberries and lemons together, as you may already know. While it wasn’t the absolute best cake I’ve ever had, it was a nice dessert for the end to a crazy week. How satisfying, to crack the tart glaze with my fork and shovel a bite of dense, sweet cake into my mouth — and after only having baked for an hour or so! So while I’m not utterly astounded, I am pleased. This cake would be perfect at a brunch, tea, or garden party, what with its fresh flavors. I’m not going to pretend I have brunches, teas, or garden parties, though; Mike and I will almost certainly devour it while watching Star Trek or something similar. 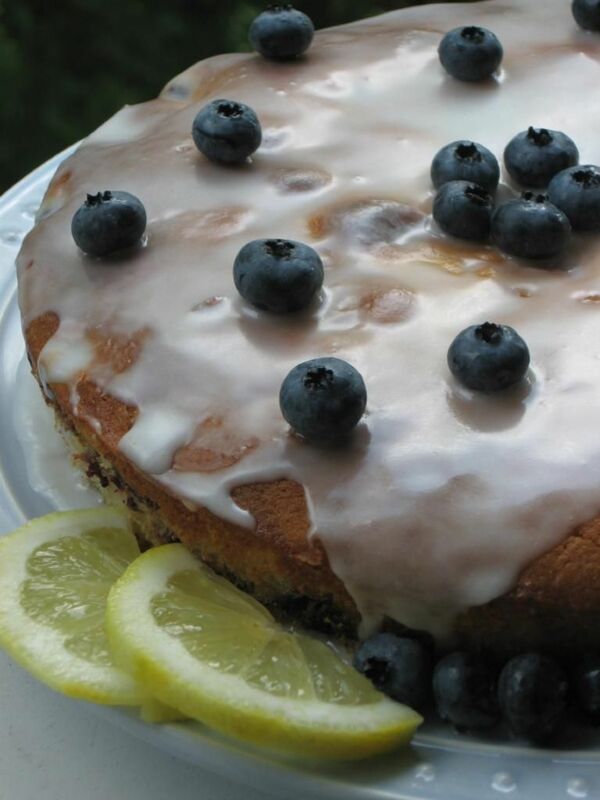 I give you permission to do something more sophisticated with your lemon blueberry cake. Preheat oven to 350 degrees F (180 degrees C). 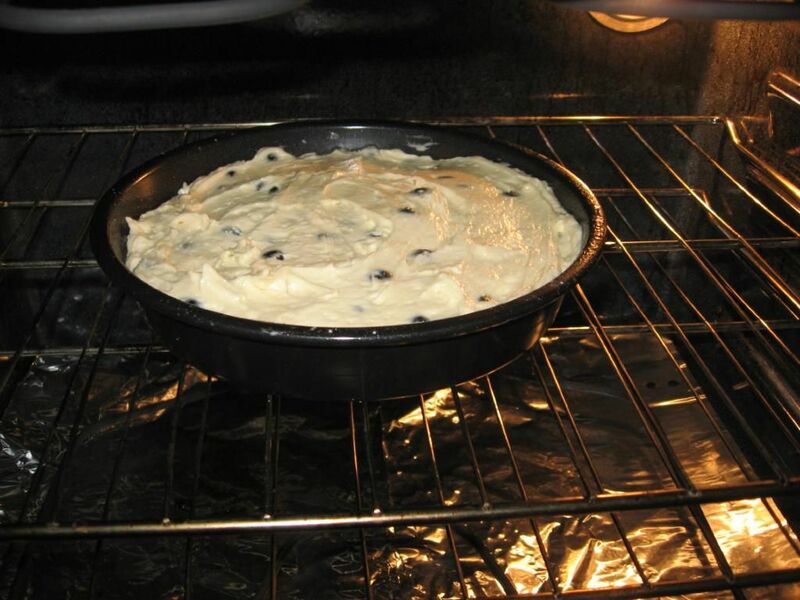 Grease a 9″ springform pan or a 8″ round cake pan. Note: I used a 9″ round cake pan, because I’m a rebel. Cream the butter and sugar until light and fluffy. Add the eggs, one at a time, mixing well after each addition. Beat in the vanilla extract and lemon zest. Sift together the flour, baking powder and salt and then add to the batter along with the lemon juice. Mix only until incorporated, adding the blueberries at the very end. Pour the batter into the prepared pan and bake about 45 minutes, or until a toothpick inserted in the center comes out clean. Note: If you notice the cake is done on top but not in the middle, shield it with aluminum foil for the rest of the baking time. This happened around 35 minutes for me. 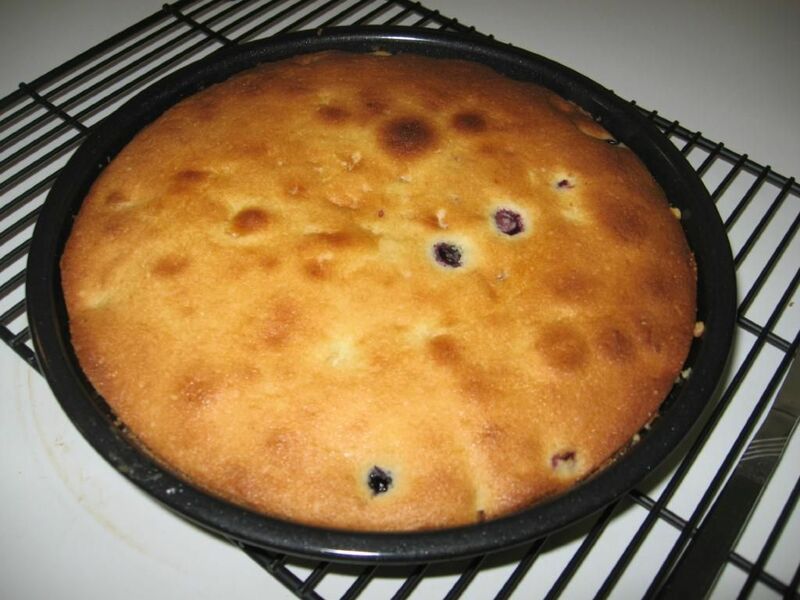 Place on a wire rack to cool, then gently remove the cake from the pan. Wait until the cake is completely cool before icing. For the icing, combine the sifted confectioners’ sugar with the 2 tablespoons lemon juice. (You want the icing to be thicker than a glaze but still thin enough that it will just run over the sides of the cake. If not the right consistency add more lemon juice or powdered sugar, accordingly.) Frost the top of the cake, allowing the icing to drip down the sides. Place blueberries over the top as you like. Note: This cake is another of the many baked goods that tastes better after being refrigerated in an airtight container (such as a cake dome) overnight. The lemon and blueberry get a chance to mingle and chill. In the oven, and then fresh out of the oven. My cake got a little darker than I wanted on top; keep an eye on it! 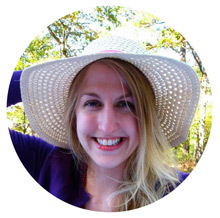 As a side note, I’m “on the spot” this week at The Daring Kitchen — go and take a look! Thank you Miss Fatty Foodie! Don’t pups make the best cooking companions? 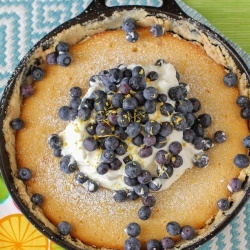 What a lovely recipe -I’ve been working a lot with lemon and blueberry flavors this summer. I will be giving this a try for sure. Gave you a Stumble as well! Thank you, Donalyn! I appreciate your comment AND stumble 🙂 I’m loving lemon and blueberry this summer too. What a great pair. This looks absolutely wonderful. I want to try this one soon! 🙂 Btw, can I add you to my sidebar? I would love to come back again and again. Hi Leann! Thanks so much for visiting and for the link — I’d love that! Well, it WAS one of our favorites! Very moist and not too sweet! We loved it! Forgot to say that Byrd IS the perfect cooking companion because she never begs! (She does search all over the floor, however, in CASE something drops!) She’s a sweetie! Good luck with all your back to school prep work. I often think that teachers are more nervous than students during those first few days/weeks! 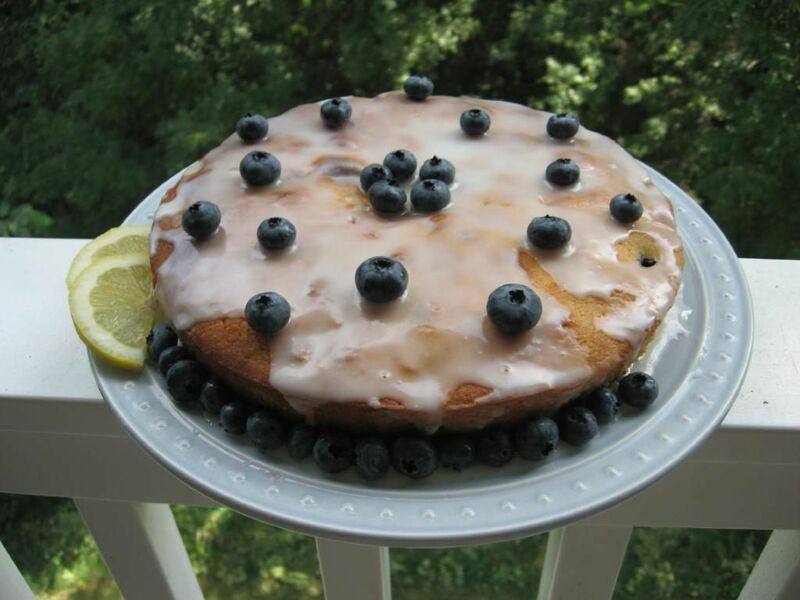 I love the glaze on the cake, a perfect consistency for summer. I think you’re right about teachers, Miss High Heels! 🙂 Thanks! I love the way that you write! Especially that first line, so evocative 🙂 Oh and that cake? It looks spectacular! Thank you, Lorraine! I think I’ve gone and toppled off; the high was 70 here yesterday and it was a bit blustery. Hi! Thanks for the recipe! I baked it last night, so the hubby and I had a late night snack and ate some again this morning with coffee. I love the flavor combo, the texture of the cake, and that it wasn’t too sweet. BTW, I used a bundt pan and it came out very pretty with the suggested 45 minutes. (I’m rebellious, too) I only had a cup of berries, but will make sure to have plenty next go round…probably will experiment with even more lemon, too! Yum. I made this the other day and oh, it was sooooo yummy! Everyone loved it! It did taste better the next morning, but was still delicious the night I made it! Thanks for sharing this wonderful dish. This cake is very tasty and the glaze is definitely a nice lemony addition. I found that it tasted even better on the next day, too!